Last year we had heaps of cappings to melt down – heaps! I used a gas ring and a stainless pot and it took forever. This year the bee club purchased a cappings melter so I took delivery of it and set it up. The unit needed a couple of valves to get it going – a 50-mm drain valve (it’s that big) to let all the crud out; and a 15-mm inlet valve that’s used to float the wax up and out of the unit once it’s melted and settled. In use it’s filled to the first ring in the tank about 50mm above the element; then the remainder of the tank is filled with wax cappings. The element is turned on and the water brought to the boil then reduced so it’s kept hot but not boiling. 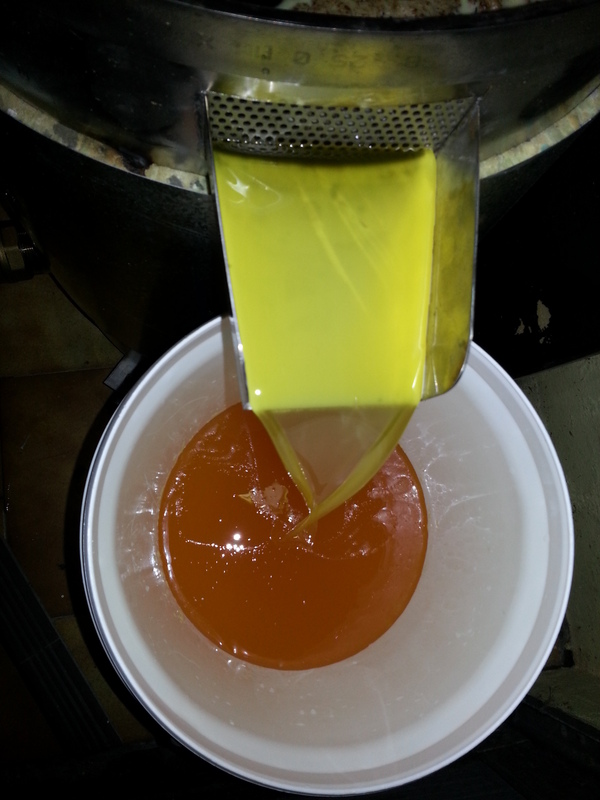 Over time the crud will settle out of the wax and then you add cold water to the bottom which floats the clean wax up and out of the tank. It’s a really simple system that performs like a dream and it’s going to make processing all our cappings a really quick and easy process; and produce wax that’s perfectly clean.